Italian Prime Minister Giuseppe Conte â" in his government's first major EU summit appearance â" had threatened to veto any deals if his country did not get more help with migration issues. He sounded satisfied with the outcome. "Italy is no longer alone," Conte told reporters as he left the meetings Friday. But it's one of Conte's deputies â" Interior Minister Matteo Salvini â" who has emerged as a powerful hard-liner shaping the country's anti-immigration stance. 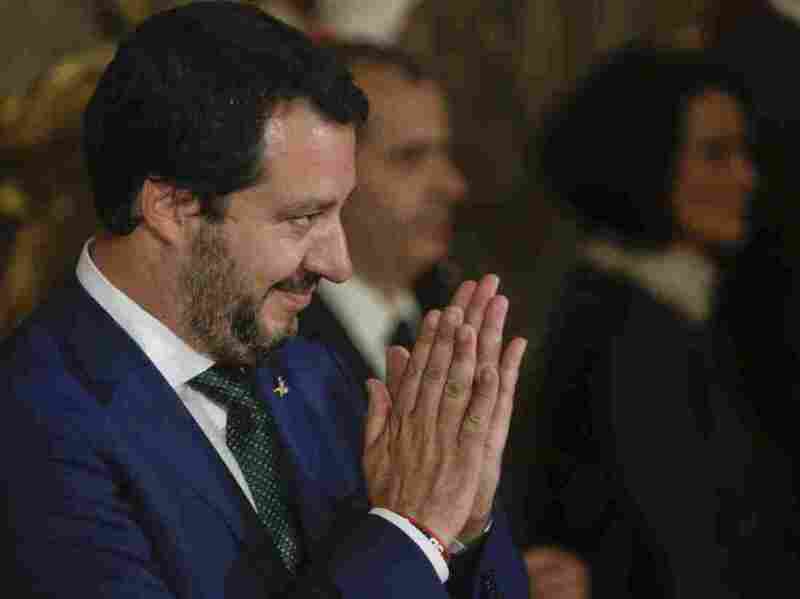 In office less than a month, Salvini has dominated the national spotlight and thrown down the gauntlet to the European Union. He has said Italy is ready to renegotiate its financial commitments to the EU if more is not done to help the country deal with migration. As leader of the right-wing League party, Salvini campaigned on the slogan "Italians first" â" with clea r echoes of Trumpism, which he endorsed early on â" and pledged to deport 100,000 undocumented migrants in his first year in office and to expel hundreds of thousands more in the rest of his term. But Salvini has repeated his vow to expel undocumented migrants. He is one of Italy's deputy prime ministers as well as its interior minister â" a key domestic security post overseeing law enforcement. In 2013, he took over the party leadership and dropped "Northern" from its name. He sought to rally all Italians and shifted the focus to negative impacts of globalization, i ncome inequality, joblessness, resentment toward EU regulations and, most of all, fears deriving from a perceived surge in migrant arrivals. Salvini adopted slogans of the neo-fascist group CasaPound Italia, such as "Italy for Italians." His strongest allies outside Italy include Nigel Farage, the promoter of Brexit in the U.K., France's hard-right leader Marine Le Pen and Hungary's increasingly authoritarian and anti-immigrant leader Viktor OrbÃ¡n. "In contrast to nothing" achieved by previous Italian governments, he continued, "many of our requests were accepted. On others, there is still work to be done. But finally Italy has emerged from isolation and is once again a player ."